There are many different types of sous vide machines available to home cooks and professional chefs. You can see all the ones below that we have looked at, reviewed, or tested. Click through any of them to see the detailed specifications, links to reviews, and more information. We also have a detailed guide for How to Pick a Sous Vide Machine and my article on Which Sous Vide Machine Should I Buy. For a look into our testing processes you can check out our sous vide benchmark tests or jump straight to the sous vide benchmark test results. If you are interested in more information about sous vide, you can enroll in my free Exploring Sous Vide course or look into one of my many sous vide books. 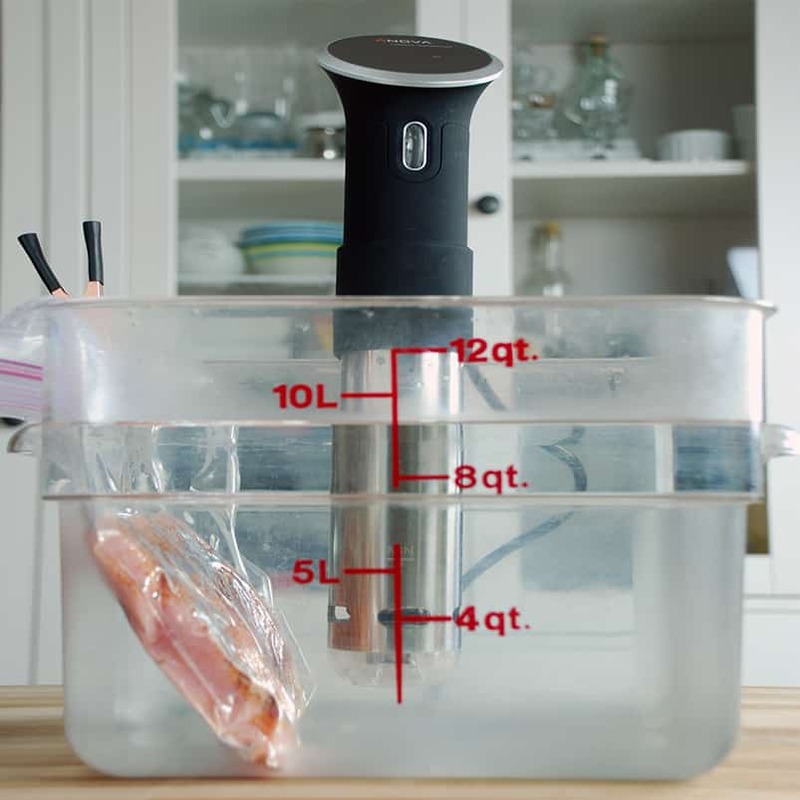 These sous vide machines are what we recommend to our friends and family. While one might be a better fit for you personally, you can't go wrong with any of them. These are sous vide machines that we highly respect and feel very comfortable recommending. They might not match our Top Picks, but they are sous vide machines many people use and are very happy with. These sous vide machines are not included in the above lists because some of them have not been released yet, some used to be great but are older, some are more expensive than comparable sous vide machines, and some may have other issues. Have you used something that we don't cover here? Let us know what you use and why you love it!